Here is a render I did a few weeks ago and posted on DeviantART. Here is the link to the full version. It's a path in winter time when the sun is just coming up. I added some fog in Photoshop. Looks very intriguing. I could see so many different creatures lurking. The shadows in that little beam of light are amazingly realistic. That is one of the coolest battle maps I've seen yet! Yeah, Vue renders really good ;-) Great Map! Yeah, looks nice and has a pretty dark mood to it. That is excellent. I do have one minor issue with it though. 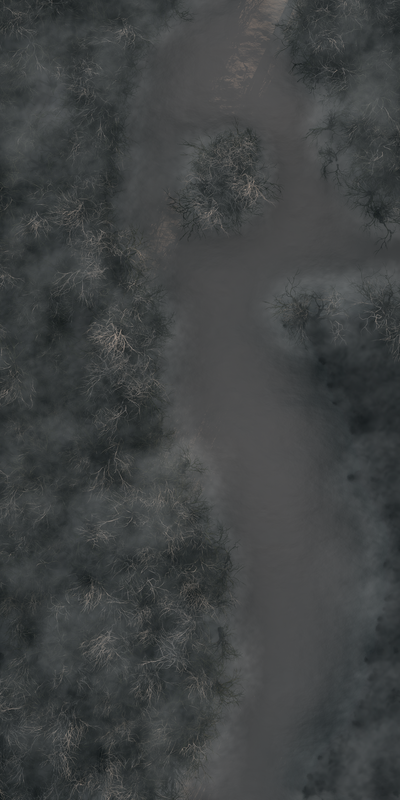 I know you want the path to be visible, but the fog isn't completely convincing when it doesn't cover the path at least some as well. the ground rendering is not very convincing at all. Forgot to post a link to the full version (a lot bigger). Now I do like that Kep.....my kinda map...love it!!! 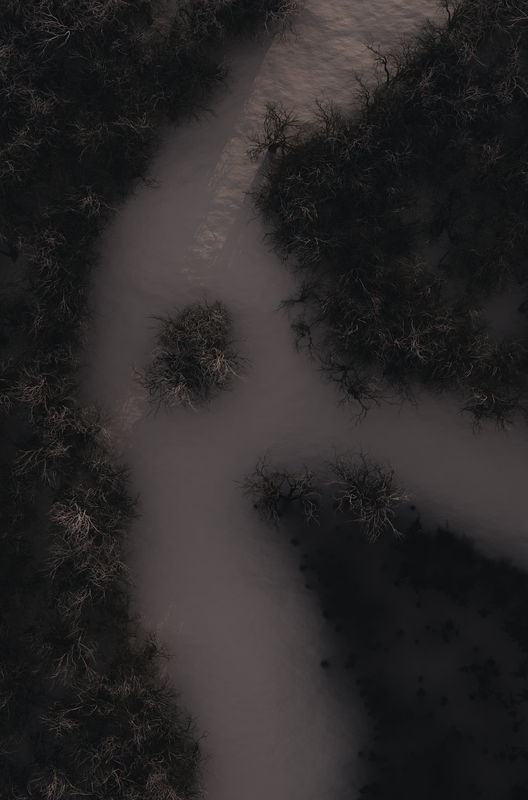 Kudos to Kepli for these really creepy maps. I never saw them when they were originally posted back in 2012.